Home Crime Who Murdered UCLA Medical Center Nurse Melanie Howell? Who Murdered UCLA Medical Center Nurse Melanie Howell? Detective Cliff Shepard served 37 years with the LAPD before retiring a year-and-a-half ago. He spent his last decade on the force in the cold case unit, digging through old unsolved murder files for new clues and testable biological evidence, and while Shepard and his colleagues helped capture some of southern California’s most infamous bad guys—Rodney Acala, Chester Turner, and Lonnie David Franklin Jr. (aka the Grim Sleeper), to name a few—the cases that were never solved continue to nag Shepard in his retirement. 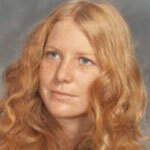 The 1976 murder of Melanie Howell, 22, a nurse at the UCLA Medical Center, is one example. A detective from the West Los Angeles bureau introduced Shepard to Melanie’s case and shared her file with him in 2002. “My partners and I interviewed dozens of people, many of them doctors and nurses,” Shepard says. They traveled to Virginia, New York and Colorado in search of clues. Before he retired, Shepard had added eight more files to Melanie’s “murder book,” two- to three-inch-thick binders filled with possible witnesses and suspects. Here’s what authorities now know: During her last week of life Melanie confided in friends someone was loitering outside the window of her apartment, #6 at 1723 Westgate Avenue. She was frightened enough that she called police and stayed away from her place until April 23, the day of her murder. That morning her next-door neighbor heard her talking with a male. They finished the conversation cordially. Five minutes later, the man returned. The neighbor heard screaming and glass shattering. She looked out the peephole and saw the man leave. He was described as a white male, about 6 ‘1, 190 lbs., with black hair, wearing a red shirt and carrying a black attaché case. He was about 25 years old. Melanie was later discovered on the floor of her apartment, bound and stabbed to death. 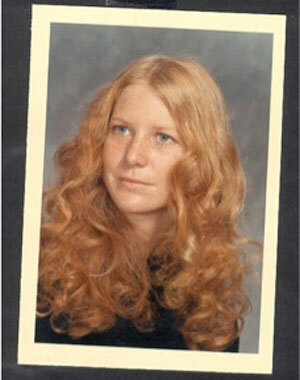 If you have a tip for the Melanie Howell investigation, please call the Cold Case Homicide Unit at 213-486-6810.